A110-11 MAINTAIN AT OR ABOVE 300 FT AGL UNTIL ESTABLISHED ON FINAL . A110-12 VFR ACFT: TO AVOID OVERFLIGHT OF RY 20R: RY 20L ARR FLY FINAL AT 15 DEG ANGLE TO RY; RY 20L DEPS TURN 15 DEG LEFT AT DEP END OF RY. TO AVOID OVERFLIGHT OF RY 02L: RY 02R DEPS TURN 15 DEG RIGHT AT FREEWAY. A110-14 FBO GENERAL AVIATION APRONS LIMITED TO MAX GWT OF 100,000 LBS (DUAL GEAR) AND WITH WINGSPANS LESS THAN 100 FT. GENERAL AVIATION AIRCRAFT PROHIBITED FROM USING ANY PORTION OF THE AIR CARRIER COMMERCIAL RAMP. A110-15 NOISE ABATEMENT PROCEDURES IN EFFECT CTC ARPT NOISE OFFICE (949) 252-5185. A110-16 RY 02L/20R TPA 1,000 FT AGL SMALL ACFT; 1,500 FT AGL TURBINE ACFT OVER 12,500 LBS; RY 02R/20L TPA 800 FT AGL SMALL SGL ENG ACFT; 1000 FT AGL TWIN ENG ACFT. A110-17 ASDE-X IN USE. OPERATE TRANSPONDERS WITH ALTITUDE REPORTING MODE AND ADS-B (IF EQUIPPED) ENABLED ON ALL AIRPORT SURFACES. 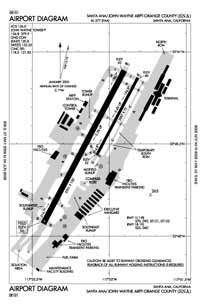 A110-3 WHEN ATCT CLSD NO LCL TRNG OR TOUCH & GO OPNS. A110-4 BE ALERT TO BIRDS ON AND IN VICINITY OF ARPT. A110-6 TWY C GWT LMTD 60000 LBS. 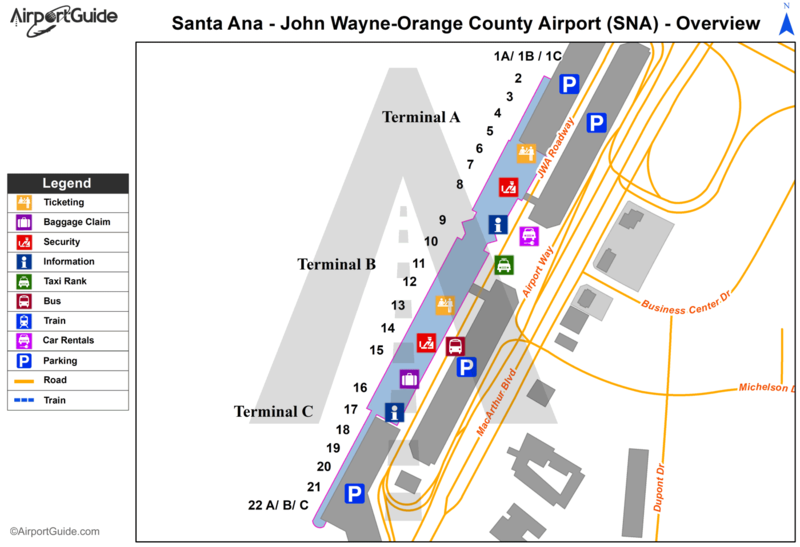 A14 JEFFREY S. ROUNTREE, MGR, AIRSIDE OPNS (949) 252-5247. A30-02R/20L RY 02R/20L CLSD WHEN ATCT CLSD. A30-20X RY 20X CREATED TO SUPPORT OJW LDA ASSOCIATED WITH SNA ILS RY 20R. A81-APT WHEN ATCT CLSD ACTVT MALSR RY 20R & PAPI RYS 02L & 20R - CTAF.